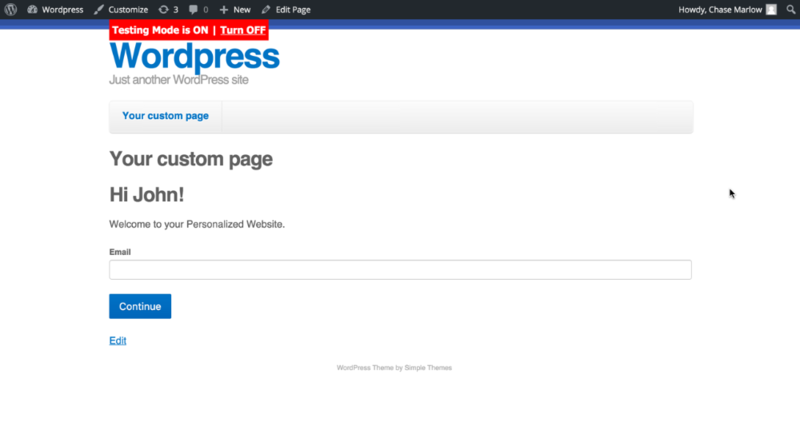 Login to your Wordpress admin. 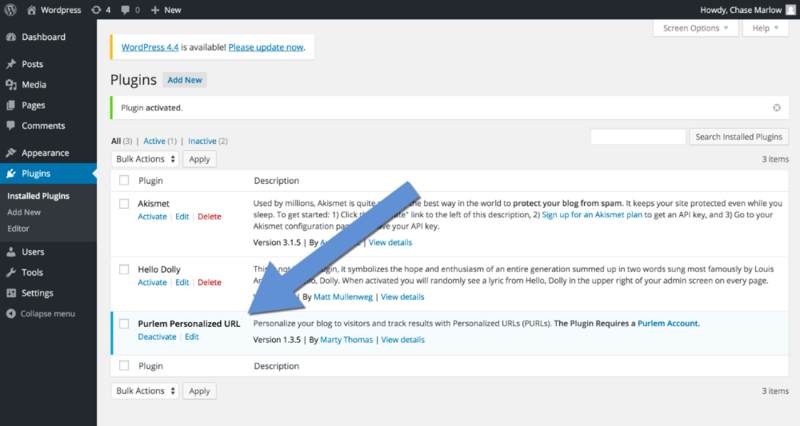 Under the " Plugins" option, Select "Add New"
In the search box provided, search for "Purlem." Select the "Install Now" link. 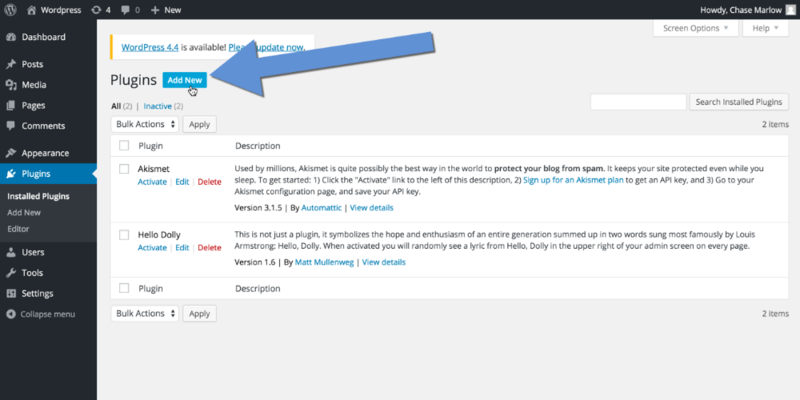 Select the "Activate Plugin" link. 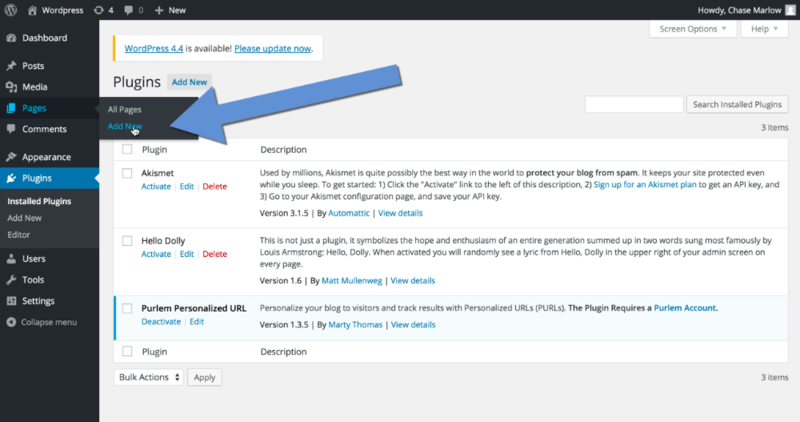 After successful installation you will see the "Purlem Personalized URL" plugin on your "Plugins" page. Under the "Pages" option select "Add New"
Give you new page a title. You can leave the content area blank. And select "Publish." Select the "View Page" link to visit your new page. Copy the URL from the browser. (We will need this in the next step). Under the "Settings" option, select "Purlem." 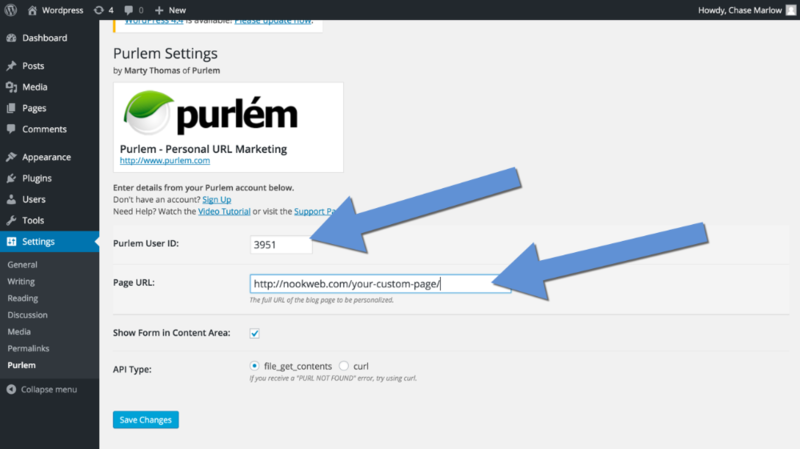 Your Client ID or User ID is found in your Purlem Dashboard (or Account Settings). 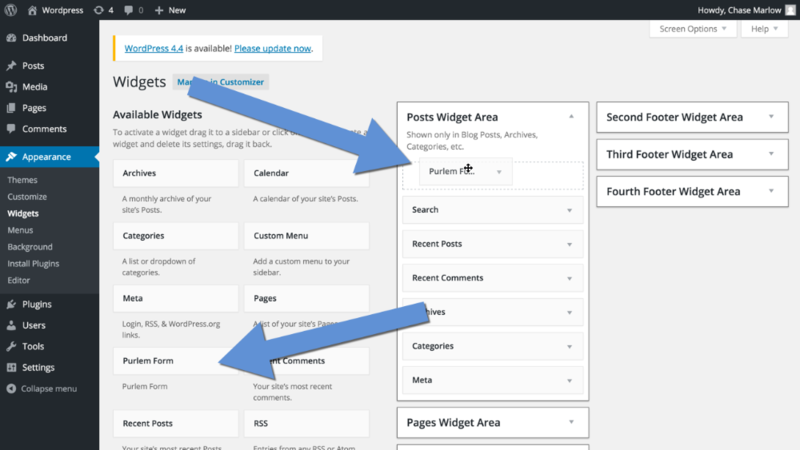 If you have a client account, under the "Clients" tab, select "edit" next to the client you will be using the wordpress plugin for. Their Client ID will be visible in the right column. If not, the User ID should be visible in the right column of your account settings. The Page URL, is the URL you copied from Step 2. If you would like the form to appear under the content select the Show Form in Content Area checkbox. Alternatively, you can have the form appear in the column via a widget. (refer to step 4). Under the "Appearance" option, select "Widgets." Drag the "Purlem Form" widget to the desired location. Login to your Purlem dashboard. 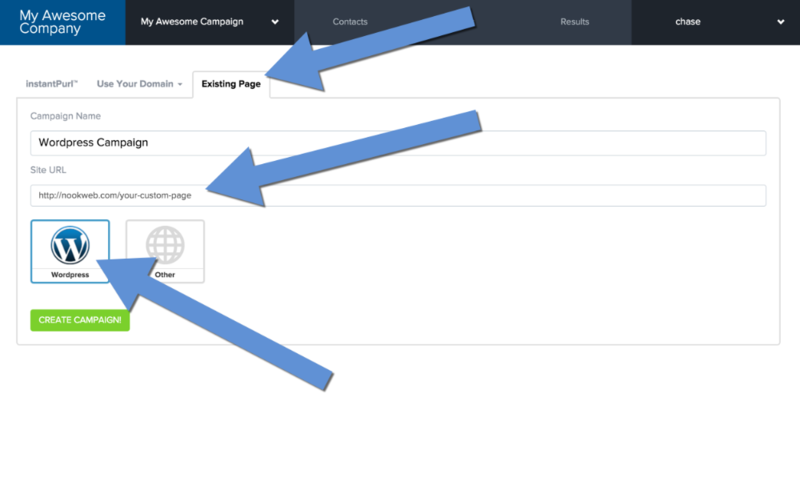 Select Campaigns in the header then select the New campaign button in the dropdown. Add a Campaign Name. (This can be anything you would like). 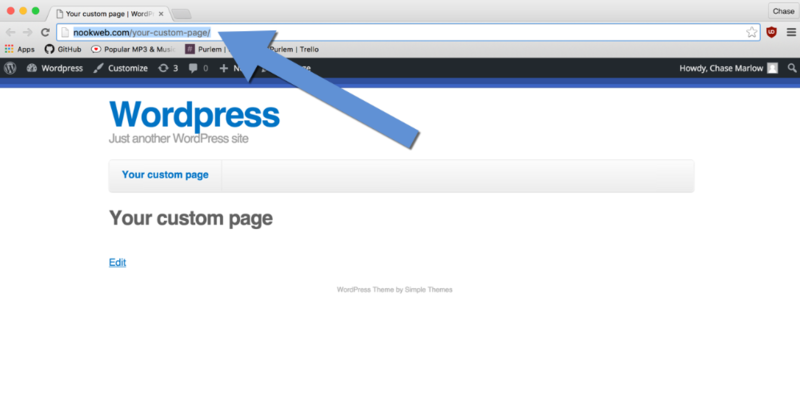 The Site URL is the same url copied from Wordpress in Step #2. Select the Create Campaign button to create your campaign. After following the setup prompts, you will be taken to the Landing Page editor. 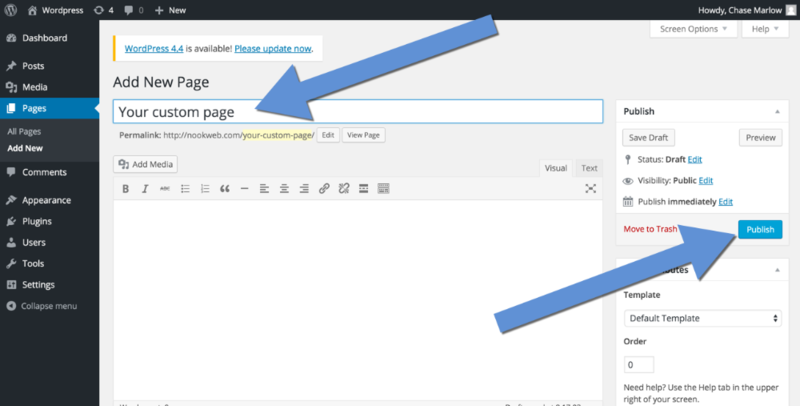 You can use the WYSIWYG editor as an easy way to pull in variable content to your Wordpress page. You can use the form generator here to define the form that will be sent to your Wordpress page. We recommend just adding a single contact for testing purposes. 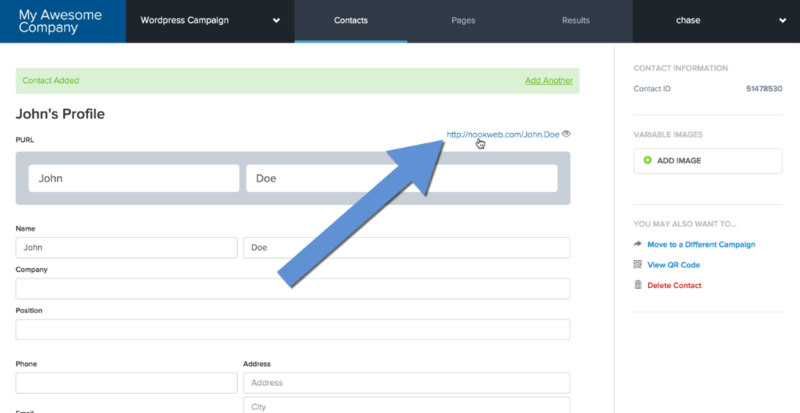 When the campaign setup is complete, you can upload multiple contacts. The PURL will be the URL of the blog, followed by the first and last name of the contact you created in Step #5 separated by a dot. 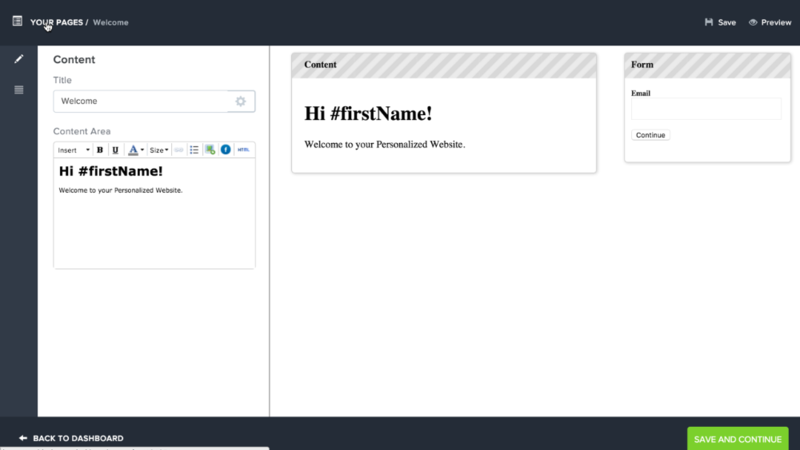 Type the PURL into a browser and see the resulting Personalized Wordpress Page! 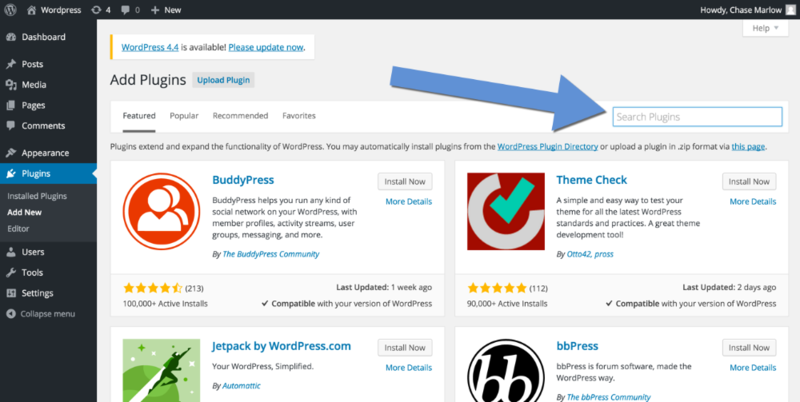 If you have any trouble setting up the Wordpress plugin, try the Wordpress Troubleshooting article. 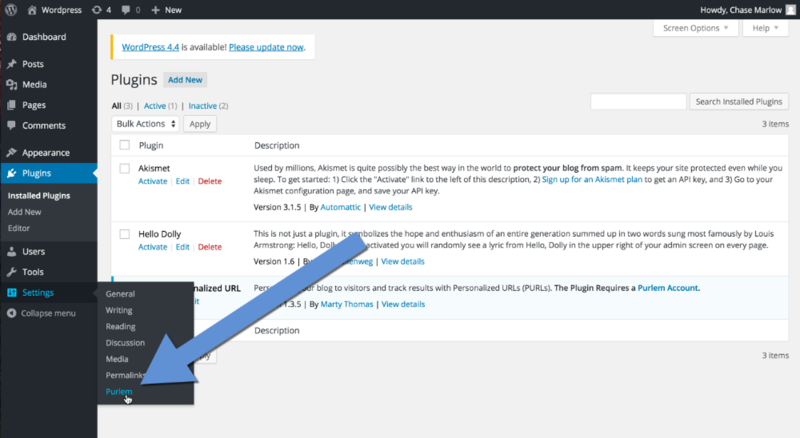 Results and form activity associated with your PURL wordpress page will all be collected through the Purlem dashboard. You can also take advantage of the the real-time alerts and response email features.